Elizabeth Warren addressed the crowd during a town hall meeting at Quincy High School on Sept. 15. President Trump takes such glee in needling Senator Elizabeth Warren that it reminds one of a 10-year-old teasing a younger sibling. He was at it again last week as he mused about the Democrats who may run for president in 2020. It’s easy to understand why a politician with Trump’s keen instinct for matters that cleave along political, socio-economic, and cultural fault-lines so delights in that mocking moniker. It’s not just a way to portray Warren as a fraud who tried to appropriate Native American ethnicity for her own personal advancement. It also triggers a wave of tsk-tsking from cultural highbrows who consider the label disrespectful to Indians or otherwise untoward. And that, in turn, gives Trump’s legions a chance to snicker at liberal political correctness. So the sarcastic sobriquet delivers a pretty good bang for the buck, and all without straying into overt misogyny or red-flag racism. 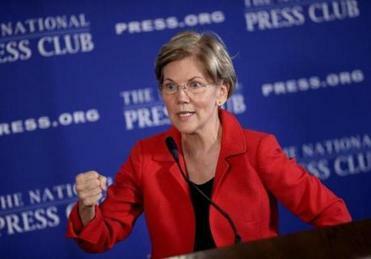 Senator Warren introduced her sweeping new anti-corruption proposal on Tuesday. 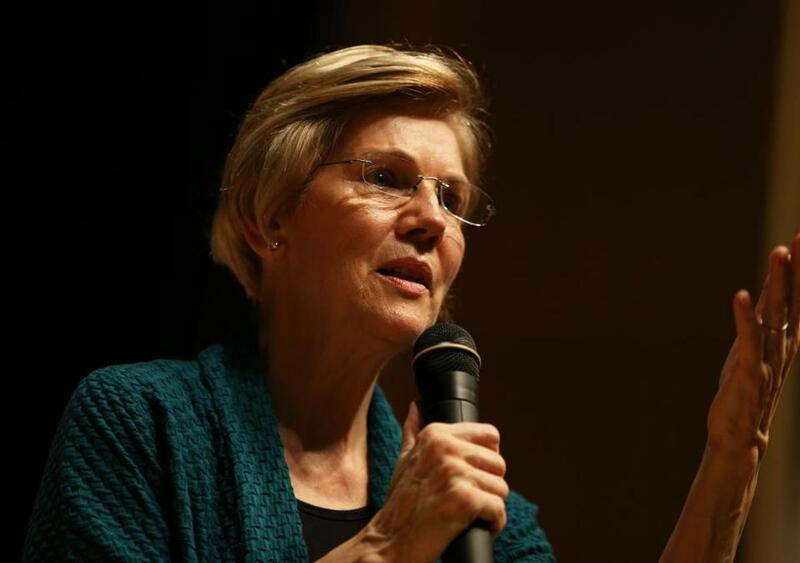 Warren’s team has tried to use disgust over that Trumpian taunt to raise campaign contributions for Native American Democratic candidates. But there’s a much better way to respond. First, however, consider the important recent reporting about Warren’s law-school teaching career. After talking to scores of people and examining applications, hiring documents, and personnel memos at the various law schools where Warren has worked, the Globe’s Annie Linskey concluded there’s simply no evidence to support the notion that her claim of Native American ancestry helped her land any of her teaching positions. No fair-minded person could read Linskey’s comprehensive, detail-laden account and still credit that charge. But the facts obviously won’t deter Trump. Trump won’t rise to that challenge, of course. We now have a very good idea of the kind of shady dealings that could be revealed or further illuminated. Earlier this month, The New York Times published an exhaustive account documenting the tax-evasion schemes that Fred Trump and his family engaged in to funnel hundreds of millions of the patriarch’s fortune to Donald and his siblings. That story blew into subatomic smithereens Trump’s claim that he had built his own empire with no family assistance beyond a (repaid) $1 million loan from his father. Juxtapose Linskey’s superb, detailed reporting with the Times’s blockbuster expose, and one can safely say this: The Trump family’s tax-evading wealth-transfer schemes had vastly more to do with Trump’s ascension than Warren’s claim of Indian ancestry did with her own success. Although it’s inconceivable that Trump would take Warren up on such a challenge, pretend for a moment that he did, and that her DNA test concluded she didn’t have any significant Indian ancestry. Given Linskey’s reporting, so what? She might have been too trusting of family lore, but not in a way that helped her get hired at a succession of law schools. If Trump knew his goading would invariably be met with a challenge that highlighted his own fraudulence, he might well retire the Pocahontas label. Well, Warren would at least have called his bluff with an attention-getting retort. Correction: My Wednesday column was wrong about the year when Susan Collins beat Chellie Pingree. It was 2002.